You will only be charged for sending the text message depending on your network service provider. 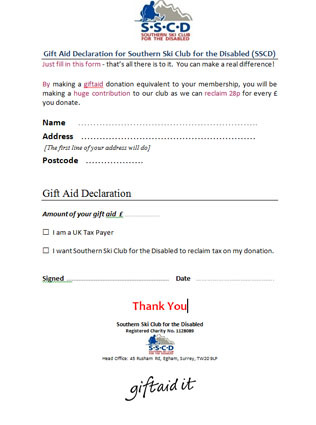 or when renewing your membership, please ask for Gift Aid form to complete your donations. Gift Aid will make a difference. For every £ (GBP) that is received through gift donations / membership fees we can reclaim 28p. If you would like a form to complete, please email us and one can be posted to you, or you can print one from here. Thank you. Just fill the Giftaid It Form – that’s all there is to it. You can make a real difference!